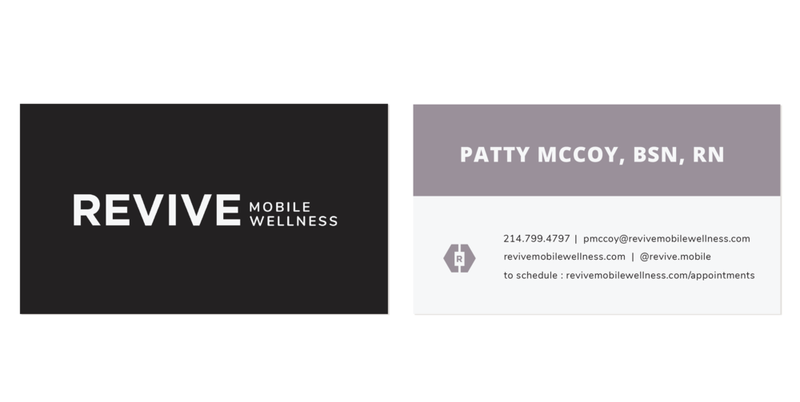 REVIVE mobile wellness is Dallas’ premiere mobile medical spa service where their priority is your comfort and your convenience. REVIVE was founded and is run by RN Patty McCoy and Dr. Sean Black who both come from a background in the ER. The beauty of REVIVE is they bring their office to you and are very discreet. You can throw a party for your service or keep it a secret. With the med spa industry generally leaning toward middle age or older women, we wanted a concept more appealing to all. We used very bold and matter-of-fact language educating the consumer on the benefits rather than influencing them. This with a high contrast photo and design style is intended to get the point across and let the customer make up their own mind. This concept pulled on abstract shapes to symbolize structure, perfection, and lift while staying in a muted color palette open for interpretation. The abstract shapes keep the identity a little more concealed which might be appreciated by the clients who may have been burned by the industry in the past or want to keep things on the down-low. The banner on the original REVIVE website was a splash of water. The reviving property of water was something that had inspired Patty when thinking about the brand. The puddle of water and drop falling into it inspired a plump, smooth style throughout the type and a fluid, organic style through the illustrations. 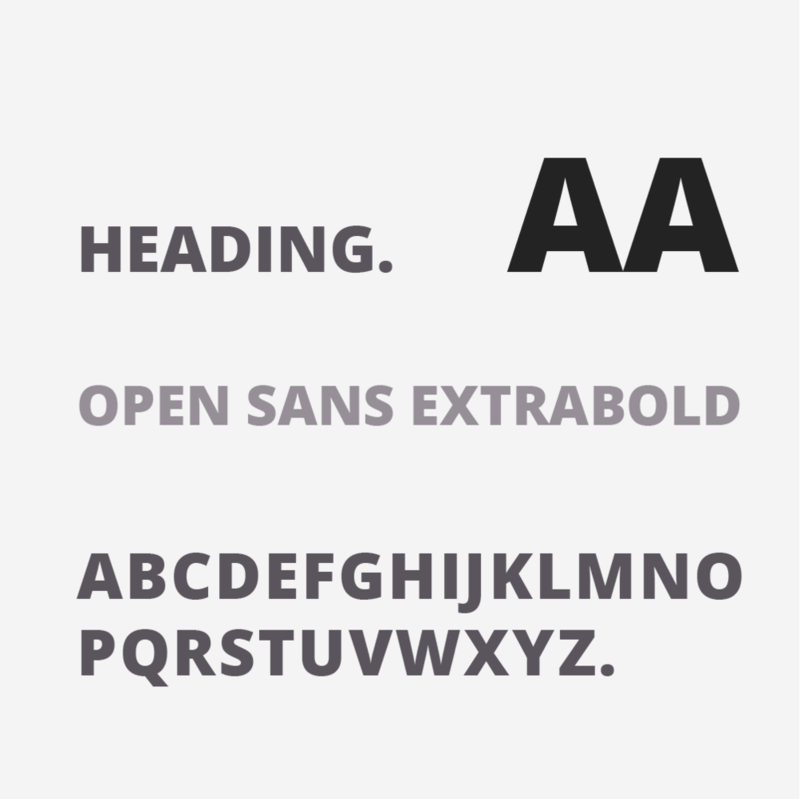 The logotype stays very clean, simple, and modern. The mark was inspired by the word Revive: The Latin word vivere, meaning “to live,” gives us the root viv. Words from the Latin vivere have something to do with living. To survive is to remain alive. To revive is to bring back to life. To be vivacious is to be full of life. 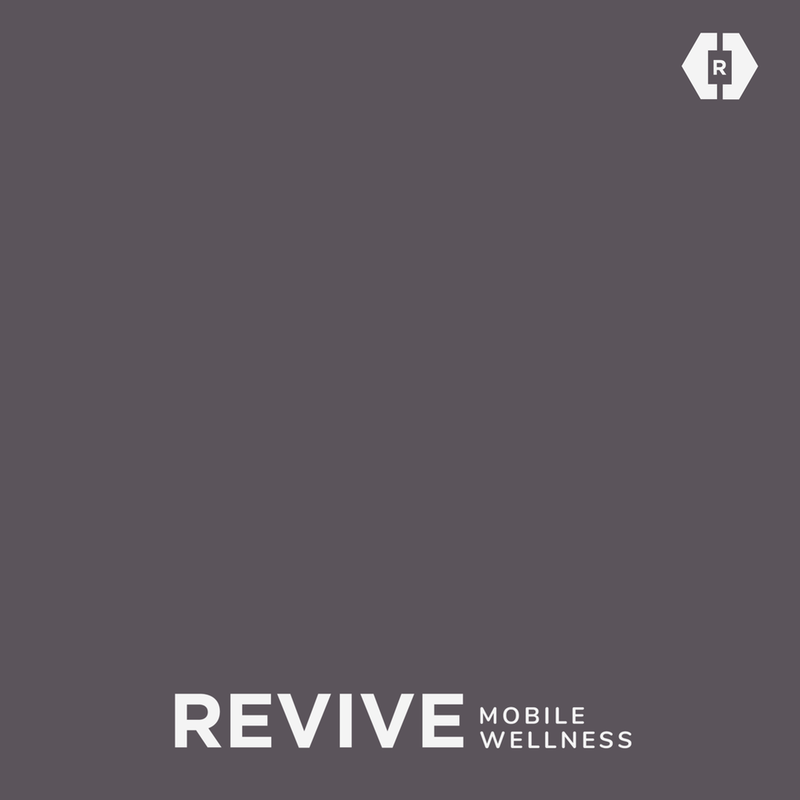 These are all things we see in the Revive Mobile Wellness brand story. We played off of that and created something with VIV in the middle, reflected off an M and W for mobile wellness, completely locked into a single geometric mark. The logotype starts out broken and ends complete, symbolizing the revitalization this brand brings to their customers. Staying true to classic yet modern approaches to typography, we wanted to show a serif option that leans into both the older audience, younger audience, and the stencil effect creates a bit of a masculine balance. The mark has a simple plus sign inspired by the universal medical red cross symbol, alluding to the fact that this brand is medical without giving it away. Adding to the inspiration, there is a 1 that the R stencil creates, symbolizing that it is for you rather than for society to accept you. For the photography, we used a high flash style with stark shadows to bring out the boldness of the concept. 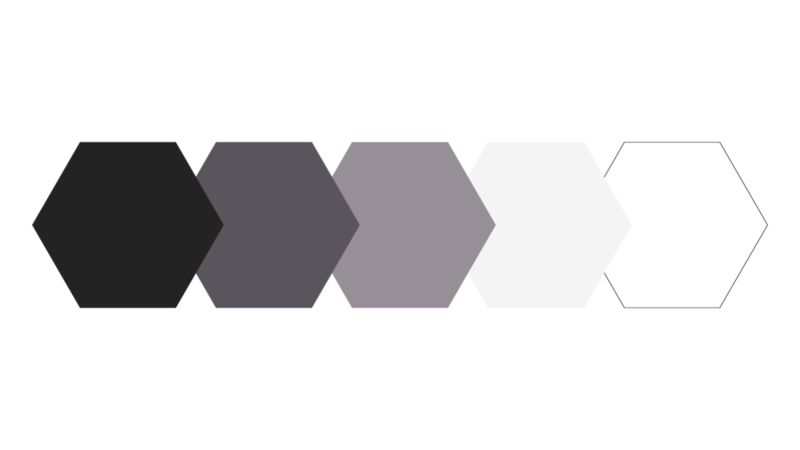 Since we’re working with a pretty monochromatic color palette, we used GIF animations to grab people’s attention rather than color. A questionable decision was the vast use of syringes due to some people’s fear of needles; we decided the use of them in a fun modern way could work in our favor to make needles less scary and more approachable. To match the brand colors perfectly, we shot the syringes on a bright colored set with high contrast; this way we would have good structure and light, but could isolate and adjust the color in post. Once we had the identity locked down and the photography was done, pulling the website together had more to do with strategy than creativity. We approached the wireframe similarly to the other websites we’ve created: draw people in with bits of information, stunning creative, and give them the option to find out more but don’t overwhelm them right off the bat. We created this website with Squarespace where we are Circle Members and can extend a 20% discount + extended free trial to our clients. You can check out the full website here. REVIVE has a heavy presence on Instagram mainly using before/after photos and testimonials to educate followers + witty quotes to keep them entertained. To create more consistency with the overall brand image, we gave them three social templates to use: one for before & afters, one for quotes, and one for phrases. We preloaded each of these into the Canva app with the correct color settings and fonts for REVIVE to simply swap out the photos or copy. Like what we did for Revive? Get in touch with us about branding your next big venture. We work with brands near or far, large or small.